We have been cooped up for six days here with a sick little and a rambunctious russell who has been totally neglected. We needed a pick me up in a big giant way. What better than a brownie? 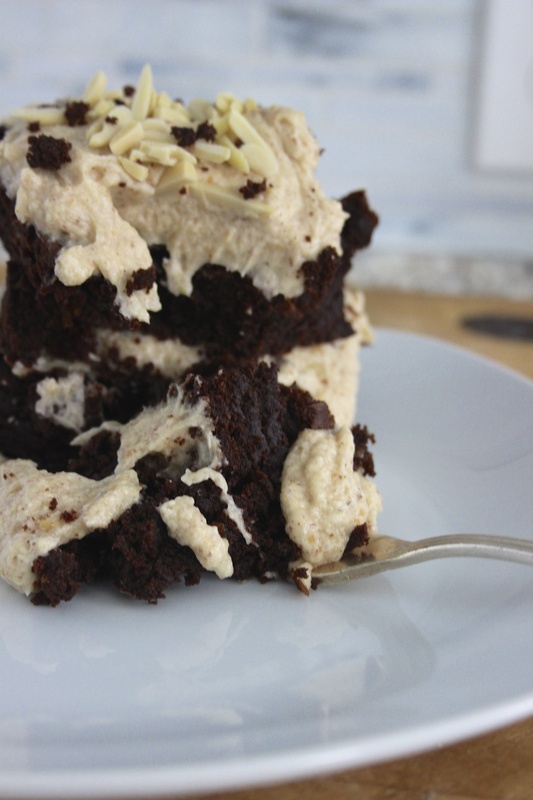 Well…how about a brownie cake with almond ginger buttercream frosting?!?! Oh yes please. The sweetness of the frosting can be easily adjusted, which we love. We started with our favorite brownie recipe which comes from Ina Garten. It is super simple to make and so much better than any mix. Not that we don’t use mixes from time to time, but, when we have the time, we usually try to make our own following her recipe. 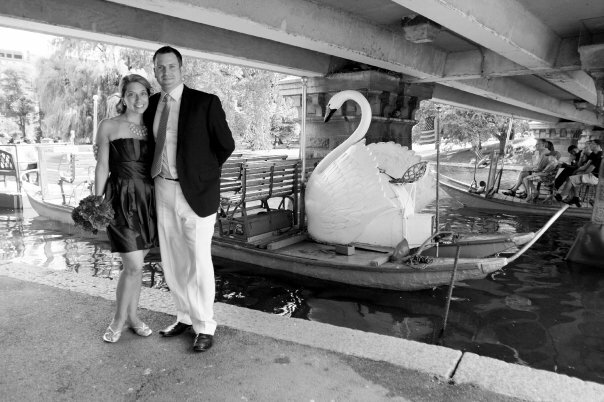 This time we omitted the walnuts. A few weeks ago we set out to make brownie cupcakes with marshmallows. Let’s just say it didn’t go so well (even though they tasted great) and did not make the cut. 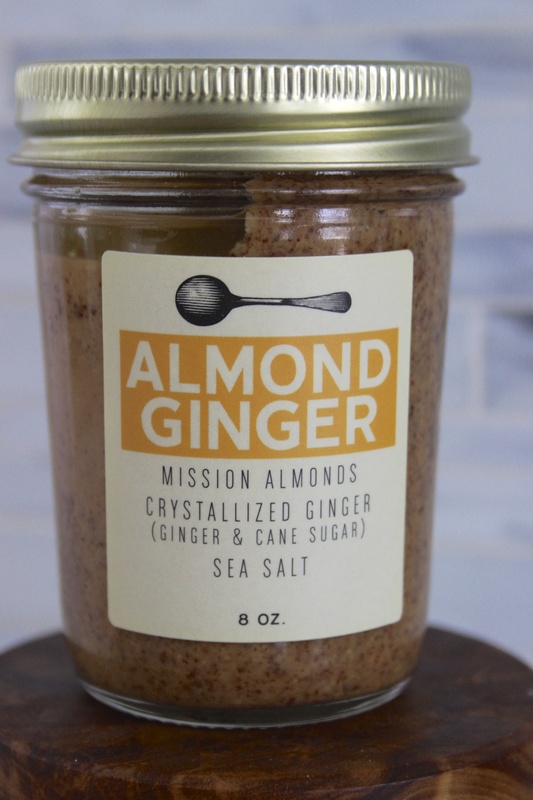 So today we thought we’d try again and learn from our mistakes but….we got totally sidetracked when we were in the pantry and spotted the almond ginger butter from Big Spoon Roasters out of Durham. Inspiration hit. 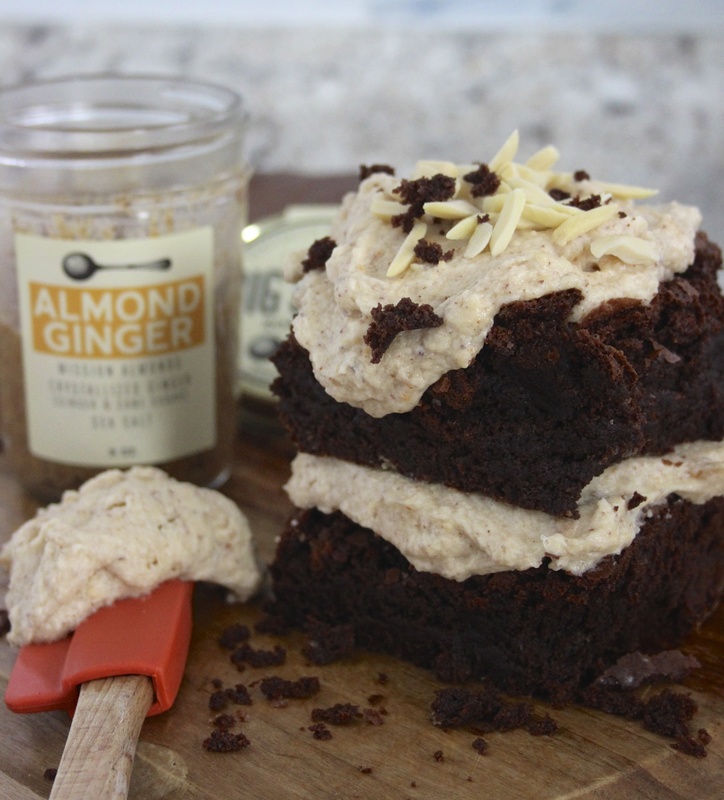 We decided to make a buttercream frosting from the almond ginger butter and use it to frost our brownie cake. We love their nut butters, but more important we love their philosophy that food matters. We began by mixing the unsalted butter with the almond ginger butter until combined. We added in the powdered sugar, milk and a teaspoon of vanilla paste. We allowed the frosting to sit in the fridge for about an hour just to stiffen up a little bit. We frosted our first layer of brownie cake and then topped it with another layer and frosted again. The entire thing was sprinkled with almond slivers and brownie crumbles. The flavor? So amazing. The subtleness of the ginger alongside the rich chocolate was really decadent. 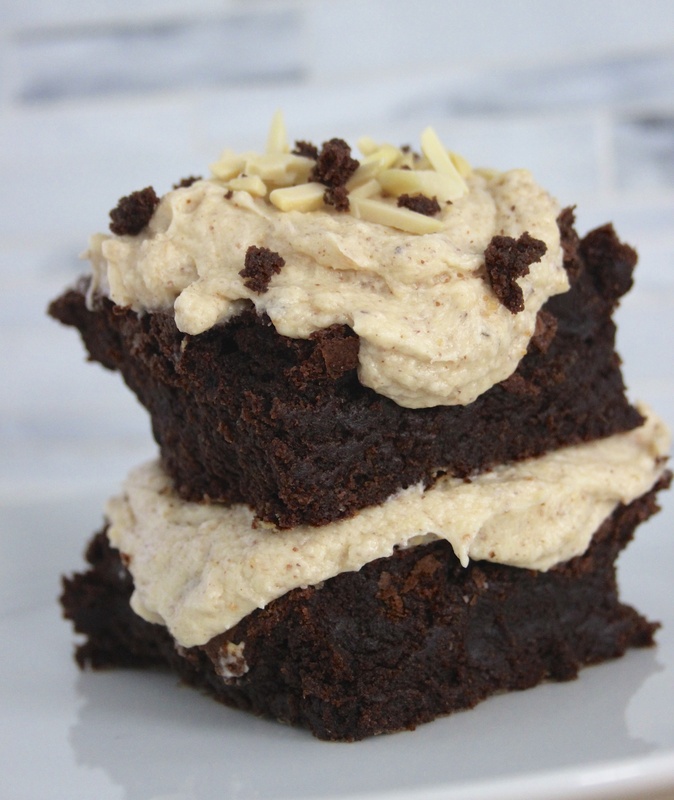 If you like it sweeter you can add the entire amount of powdered sugar but we think the brownie cake is sweet enough. 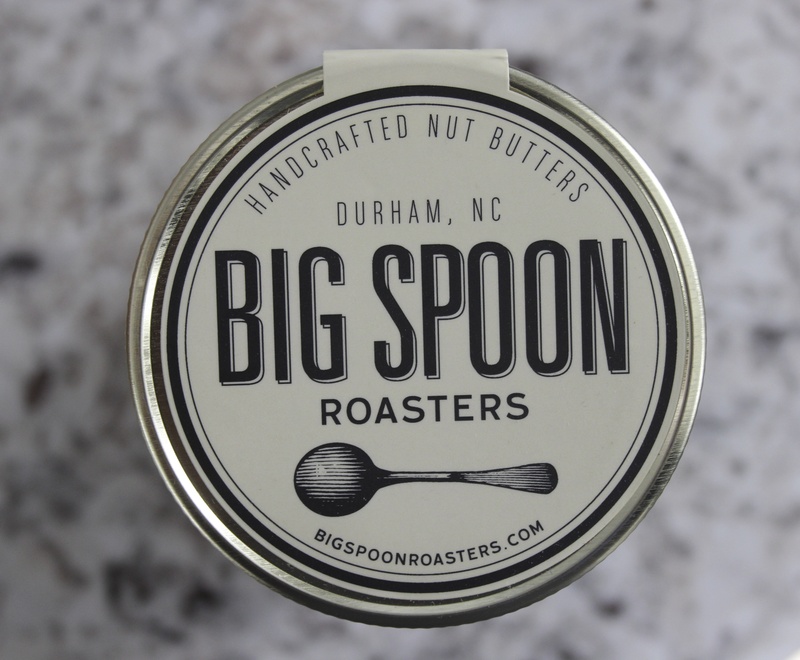 If you have the chance to experience the butters from Big Spoon Roasters we hope you will. They are unlike any other fresh nut butter we have tried and have so many flavors the possibilities are endless!